I first shared this bread machine challah recipe over two years ago, when I was just starting the blog. So much has changed since December of 2010 – including the number of egg yolks in my challah recipe! You see, my original recipe called for five yolks – YOLKS, but somewhere along the way, I started to get sick of eating egg white omelettes for lunch on Friday and decided to experiment with using whole eggs instead. Success has been achieved – see below! Since a number of readers have recently purchased a breadmaker (thankyou Amazon for your eternally great deals – we love you! ), I thought I should update my recipe for those of you looking to make challah in your newest appliance. Oh, and please let me clarify that when I say “make your challah“, I really mean, “make your challah dough“. Because until my husband realizes his dream of inventing a bread maker that will mix, knead, rise, braid and bake your challah, you will need to do those last two steps on your own. 1. Place water, egg, salt, oil, flour, sugar/honey, and yeast in bread machine. Do so in the order recommended by your bread maker’s manual. 2. Select the dough cycle and go about your business for the next, roughly, 90 minutes. 3. Remove the dough promptly when the machine beeps. 4. Preheat over to 350°. Divide dough into three pieces for medium-size challot. 5. Braid and let rise for another 20-30 minutes. 6. Brush with egg and sprinkle with seeds. 7. Bake for 20-30 minutes, preferably on a cookie sheet lined with a silicone baking mat (my newest obsession). Watch to make sure your challah doesn’t get too dark too fast. Cool on a wire rack and enjoy. Note: If you don’t have a bread machine, you can also make this in a KitchenAid. Just proof the yeast first, then add the other ingredients (flour last). Use the dough hook to bring all ingredients together, then continue kneading with the dough hook for about 3-4 minutes. I like to finish off the knead on the countertop for another minute or two. Let rise for one hour, or until doubled in size, then proceed with step #3. 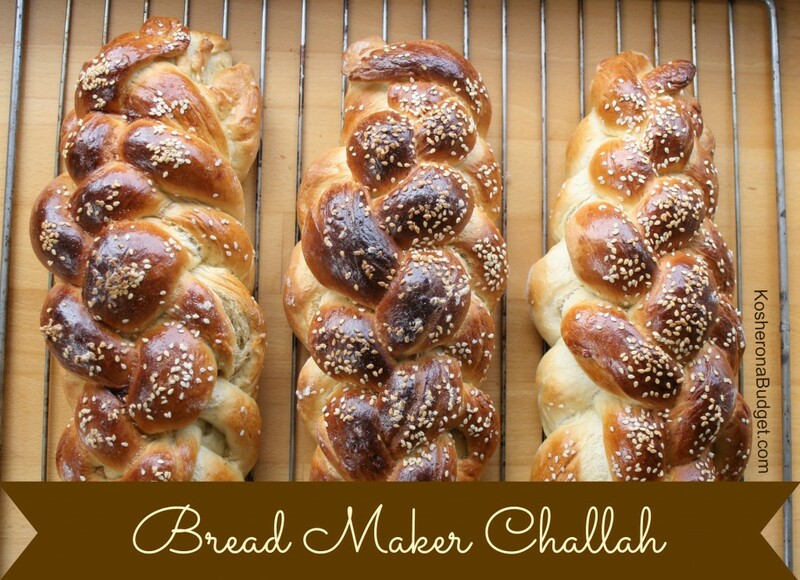 Do you have a favorite bread maker challah recipe? I’d love for you to share below in the comments section! Thanks, Mara – much healthier!!!!!! I didn’t do your last recipe bc we watch cholesterol. Have you tried using whole wheat flour or white whole wheat flour or a mix of whole wheat and all purpose? I have done half and half when I make this in the KitchenAid, but I haven’t tried it in the bread maker. I bet it would work! Especially if you have a dual-paddle model (since that tends to work really well on denser flours like whole wheat). I love adding whole wheat to my challah, but I usually replace just 1/3, not 1/2 the flour. I also don’t use eggs. If you let it rise extra long, it’ll be just as fluffy. A lot of people can’t tell my challah is egg-free. @R Klempner: When you don’t use eggs do you use additional liquid to replace it in the recipe or do you just use a regular bread recipe that didn’t call for eggs in the first place? I have a good whole grain bread recipe and I don’t see any reason why it couldn’t be shaped into a braid and called challah! Regular whole grain bread usually has less sugar and oil and doesn’t come out with the soft, fluffy texture my kids crave on Shabbos. They eat rye and whole wheat during the week, so this is a real splurge! R Klempner, can you make your eggless challah in the bread machine or does the yeast have to be proofed? thanks! Here is the recipe I use. It makes two small loaves or one large loaf. I will also give you the measures to make two larger loaves below. Place all ingredients into bread machine pan in the order recommended by your machine’s instructions. Usually it’s wet ingredients first, then dry, then yeast on top. Unless you will be using a timed setting, you can just mix yeast into the flour. I usually whisk all my dry ingredients together, including yeast, then add to pan. Run dough cycle for whole grain bread. I always keep an eye on the dough as it begins mixing, to make sure it won’t need extra water or flour. After a dough ball forms and all the flour has been mixed in, lightly touch it with your finger on the top of the ball. If it feels tacky but does not stick to your finger, it is just right. Not tacky and seems dry, add water, a tablespoon at a time, check again. Too moist? Add a little flour, about a tablespoon at a time, until it is right. You need to get it right in the beginning of the cycle, before it starts kneading and then is time to rise. Practice makes perfect in this. Remove to a very lightly floured surface. Divide the dough into 3 equal portions, make 3 long ropes approx. 12-15″ long. Pinch 3 ends together and braid. Then pinch ends together. Or use the number of strands you like Most people can manage the 3-strand braid the easiest. Cover with a light cotton cloth and put in warm oven (I turn my oven to lowest temperature – 170 and then turn the oven off) and put a pan of hot water in the shelf under your bread. Let it rise for approx. 1 hour. Remove and set oven to 375F. Beat 1 egg and using a pastry brush spread it on top of the loaf and sprinkle your choice of sunflower, sesame, or poppy seeds on top. Bake for 12-14 minutes. Will not rise as tall as white flour loaves, but it is delicious! Note: If you have it, you can add a teaspoon of diastatic malt to give the texture and rise a boost. It’s just sprouted wheat or barley berries that have been dehydrated, then milled into flour. I keep a jar of it in the freezer and it lasts a long time. Looks good! And a very good reminder about checking in on your dough at the beginning of the cycle! Add the ingredients in the order above and run the machine through a dough cycle. Braid, let rise in the oven at 170F for about 20 minutes, then bake at 350F for about 20-25 minutes, until top is golden brown. Makes 2 large-ish, 3 medium or 4 small loaves. Again, add the ingredients in the order above and run the machine through a dough cycle. You can cook this in the machine for a large square loaf — if so, use the appropriate cycle. Or put it in loaf pans, let rise in the oven at 170F for about 20 minutes, then bake at 350F for about 20-25 minutes, until top is golden brown. Makes 2 large-ish, 3 medium or 4 small loaves. Thanks for your sandwich bread recipe, too! Mara, your recipe is almost exactly my recipe. I wore out my last bread machine a long time ago and replaced it with a new Kitchen Aid (thank you for your awesome deal!). I think I started with the recipe that came with my bread machine and tweaked and tweaked. I use 5 cups white and 1/2 cup whole wheat flour. I also toss in 2 tablespoons of ground flax seed and only use 2 eggs. Other than that, it’s the same. I’m enjoying seeing all these recipes–may have to try them! BTW, your challahs are gorgeous! 1. Use agave nectar — more healthy than honey/sugar and better for diabetics. 2. Be lazy and skip the glaze. No one misses it and it cuts down on eggs. 3. Enjoy the fall yom-tovim — round challahs are faster/easier to shape! Mara, will your recipe fit in a 2 lb bread machine? A friend who heard about my new toy (bread maker!) sent me this link and I’ve made this recipe twice now. I’m in love! We live at high altitude, though, so I think next time I’m going to add in another half cup of flour. The dough was pretty sticky. But the loaves always bake up beautifully and taste divine! I’ve got three in the oven right now and I can’t wait to taste them tonight. Shabbat shalom! YAY! I’m so happy you are enjoying the recipe (and your new toy). It’s definitely our favorite. Put in wet ingredients first (oil, eggs, honey, proofed yeast and water). Then add flour. Salt is last. Machine won’t work so hard when wet ingredients are on the bottom. You can always add more flour if dough is still too wet. Btw…love your website. Thank you! Do you proof your yeast? I just put the yeast in the bread machine. I don’t proof it for the bread machine, just if I’m going to make this recipe in my KitchenAid. Hope that helps! Hi Mara, your recipe is my recipe except for the amount of flour. Mine calls for 4 1/4 cup bread flour. I have always used the egg yokes and have a freezer full of egg whites. I am going to try the three eggs! Any thoughts on why the difference in flour amounts? We are having a houseful of company this Shabbos and I will need two batches of challah. I will make one of each and see what happens! Thanks so much! My original recipe was 4.5 cups, but it was sooo sticky. I bumped it up and now it turns out perfect. Let me know if it works for you! I made both recipes and all fourteen people loved both! I am going to try yours again this Shabbos. I like that it uses whole eggs. Thanks so much. Change can be good! Oops, yokes. It would be a heavy challah with three yokes – and that’s no yoke. Bad pun. Anyone adapt this to use with high-gluten flour? Is that the same as bread flour? I just got my west bend machine (thanks, Mara) and am itching to make challah. Nicole, I don’t have the West Bend, though I have been making challah dough in a bread machine for years. You just helped me learn why I get different texture results in my challah. High gluten flour is not readily available where I now live, so I use unbleached bread flour. Thanks for teaching me something new today. Here is some info I found on various sites: “Bread flour is a high-gluten flour that has very small amounts of malted barley flour and vitamin C or potassium bromate added. The barley flour helps the yeast work, and the other additive increases the elasticity of the gluten and its ability to retain gas as the dough rises and bakes. Some people use high-gluten flour to make a low-calorie loaf of bread, but, because high-gluten flour is about eight times as expensive as bread flour, most people don’t make the substitution. Forgot to add that I always used the same amount of flour as in the recipe and all has been well. Thanks everyone for recipes and input. Challah was awesome. Thanks, Debbie. The high-gluten flour I have is from a Jewish brand and seems to be for making challah, which makes sense for getting chewy challah. Nicole, do you by any chance use the brand, “Dependable”? I love that flour and can’t get it where I live now. 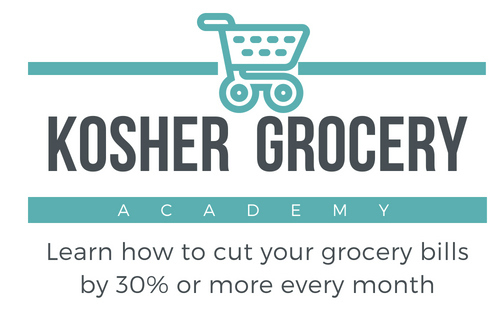 I used to live near Monsey, NY and could get everything! I was very spoiled. Anyone know anything about bromides in flour? I’m reading they’re really bad (carcinogenic) but I can’t find a list of flour brands that are OK. Everything at Whole Foods is fine, but that only narrows it down to expensive brands. Any ideas? Your Challah recipe is absolutely wonderful. This is the one I am going to make from now on! Is it worth getting a 3-lb Bread Maker in order to make more dough at a time? Also, if using a Kitchenaid instead, can you just dump in the ingredients & walk away (like with a bread maker), or does it require more attention? Got West Bend breadmaker for Chanukah..thanks Mara!. Question –what size loaf does this recipe make? I will take out the dough to braid and make challah, but want to be sure that I don’t put in more than the machine can handle. The machine I got has 1.5, 2 and 2.5 lb loaf options. My recipe has 5 cups of flour and this pretty much rises to the top (and sometimes over). I’d be careful with using many more, unless you plan to take it out and let it fully rise outside the machine. Any suggestions for a Gluten Free Challah in the bread machine. I have one with the Gluten free setting but just haven’t gotten the right mix.. suggestions? My recipe is basically the same but I use 3 yolks and 1 whole egg and about 4.75 cups flour. My family loves it, but I am going to try the whole eggs and see what happens. I am new to your website. My daughter told me about it. She loves it. I’m planning to! I tried making whole wheat challah in my West Bend bread machine and it got stuck so many times because of the whole wheat flour! Does anyone have a recipe they successfully use in the West Bend machine for Whole Wheat challah? What kind of flour were you using? I wonder if a more refined/finer whole wheat would be easier? This past Sunday I made challah in my breadmaker, braided it, then didn’t have time after it’s second rise to bake it. I put it in the fridge and the next afternoon I baked it. It was flat and harder than bricks. I had to toss the whole batch. 🙁 Anyone know how to make the challah over two days if you don’t have time to make it and bake it the same day????? Can I make more than one batch, then combine them so there is enough for the bracha. How would I keep the first batch from rising too much while the second (third?) is being made? Also, does anyone have any other recipes for Westband breadmaker, I have made a chocolate quick bread and it was devoured before it had fully cooked. Does T stand for tbsp or tsp? Not sure how much yeast to use! Normally, a capital T is a tablespoon, a lower case t is a teaspoon. does anyone have experience using this bread machine? I want to make challah in it & I was wondering if I can use regular flour or it should be a hi-gluten flour & also if there are any brands that are better for this particular machine.